14ymedio, 8 May 2017 – According to a report on foreign debt by Spain’s Secretary of State for the Economy and Business Support released to the newspaper El Economista, Greece and Cuba account for 60% of all foreign debt owed to Spain. 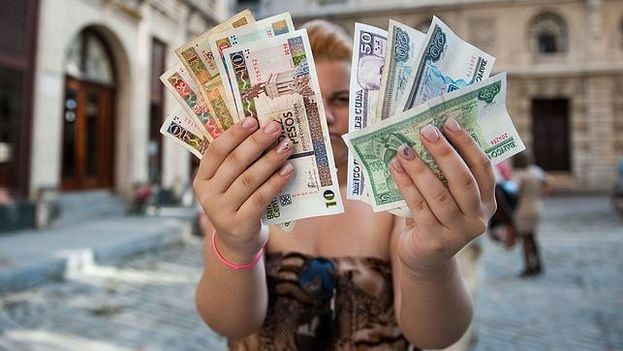 According to the report, Cuba owes the Spanish State 2.07 billion euros, (about 2.27 billion dollars). The debt of the Island represents almost 14% of the 15.1 billion million euros that Spain has lent to other countries. Greece is the only nation that exceeds Cuba in sovereign debt with Spain because the Hellenic country, a member of the European Union, had to be rescued by other nations of the community bloc after a severe crisis. The total owed by Athens amounts to 6.66 billion euros. Far below these two countries are China, at 655 million euros, Argentina (538 million) and Turkey (415 million). In the last 10 years Spain has lent almost 3 billion euros to poor and heavily indebted countries. Among the countries with the largest debt forgiven by Spain are Nicaragua, with some 705 million euros, Democratic Republic of Congo (442 million) and Honduras (319 million) . Last year, Spain forgave 1.5 billion euros of the interest on Cuba’s unpaid debt to the country.